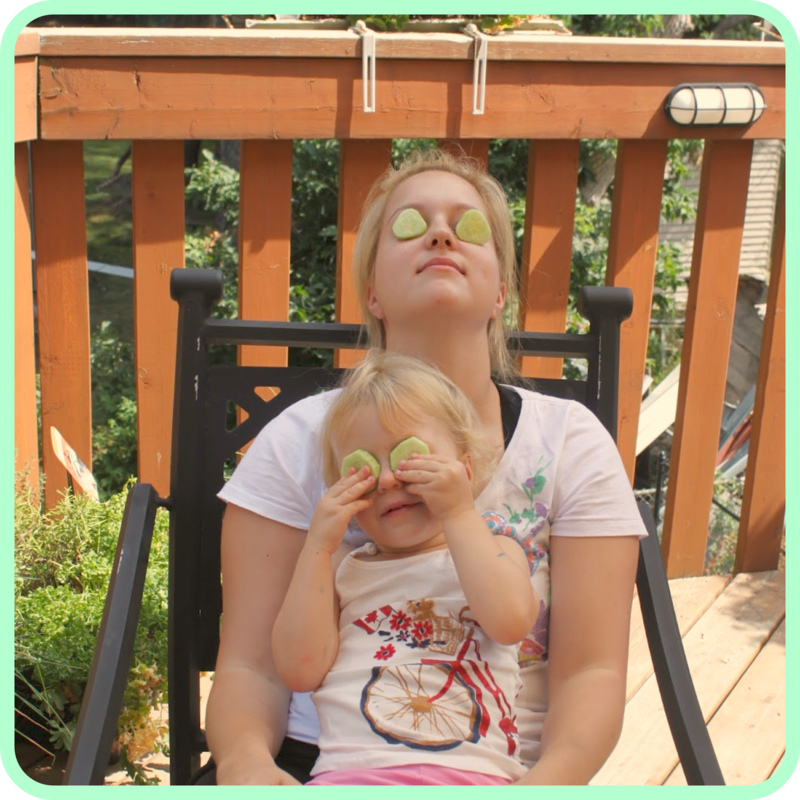 I had a laugh with my daughter when she was eating her cucumbers… I popped two pieces on my eyes and closed them for a millisecond while my dad snapped a picture of the two of us being goofy. They really did make my tired bloodshot eyes feel more soothed. I think I will be doing this more often! What is your secret for tired eyes? 1 Comment on Tired eyes?